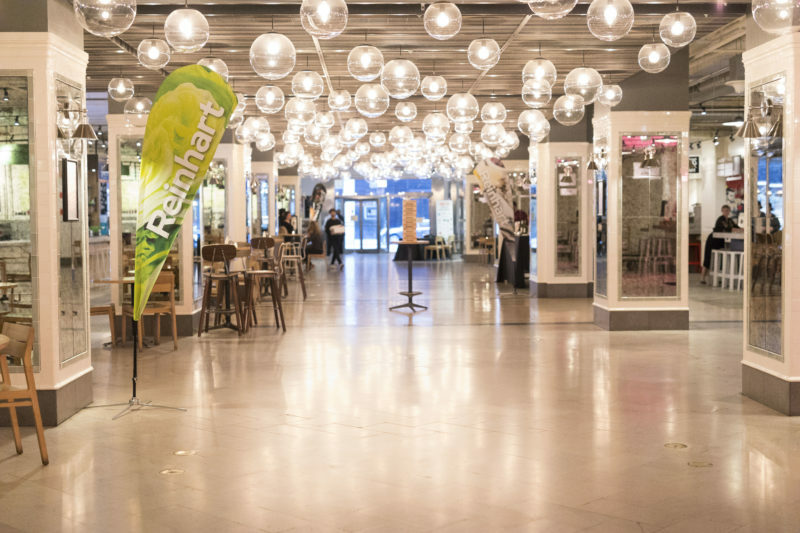 Revival Food Hall is an “all-local dining concept spotlighting the best of Chicago’s acclaimed culinary scene under one roof.” Essentially a food marketplace, it is comprised of stalls from 15 different local Chicago restaurants. Located in the heart of downtown Chicago, in the Loop, Revival Food Hall is on the ground floor of the National, a restoration of a 20-story historic building built in 1907 and designed by the acclaimed Daniel Burnham. The food hall is much more than a marketplace, though, it’s also a popular Chicago event venue. Opened in 2016 and operated by 16” On Center, a Chicago hospitality collective, Revival Food hall is the perfect setting for corporate events. With 24,000 square feet of space in the hall, the venue can accommodate between 300 to 650 standing guests. While this venue isn’t right for formal sit-down dinners, it’s perfect for standing events. You can rent out the entire hall, or book The Lounge on the 6th floor for a more intimate private event, such as a cocktail hour or reception. The Lounge has outdoor space as well if you’re looking to have a combination indoor/outdoor event. OTS has experience producing events at Revival Food Hall and recently coordinated a “Vendor Fair” evening for a local food service company, in which their products were featured in the stalls at Revival Food Hall throughout the evening and guests mingled and enjoyed indoor yard games in the open, multi-functional space. It is one of our favorite event venues in Chicago because of the unique feel and variety of food options available to guests. 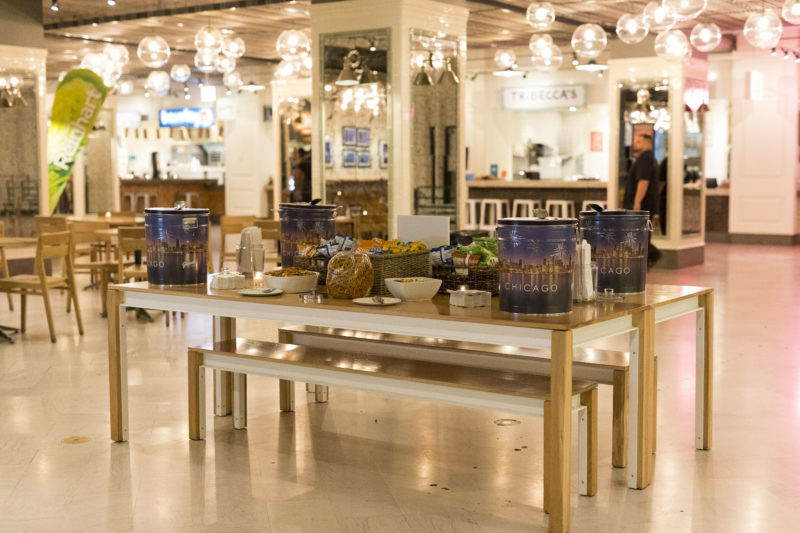 Whether you’re planning a welcome reception to kick-off a big company conference, or simply want a cocktail hour for a smaller team, Revival Food Hall is the perfect choice. As an award-winning Chicago Event Management Company, On The Scene is committed to producing one-of-a-kind corporate events in Chicago. As Chicago locals, we know the area like the back of our hands and work with the best vendors to create an experience attendees will never forget. We work as your behind the scenes partners to ensure the event matches your brand and company culture and meets your goals. No matter the size or complexity of your event, our experienced event managers can handle it. We’ll take care of all the details, from event decor to entertainment to event transportation. Interested in hosting your next corporate event at Revival Food Hall? Contact On The Scene today to get started!